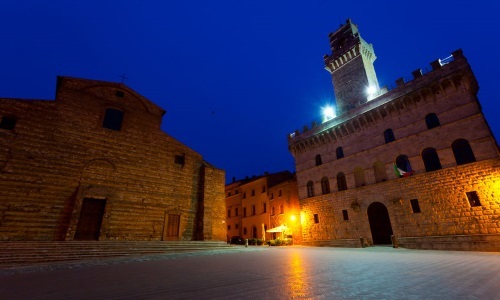 Famous for the wine to which gives the name, Montepulciano rises between the Valdichiana and the Val d’Orcia, the city it owes his origins to the people of the Etruschis and it’s been for many centuries to the center of the war between Siena and Florence. Montepulciano is also famous for the wealth of good vineyards, from which is drawn the Nobile Wine that it takes the name from it. The inhabited center has the classical style of a medieval suburb and it’s contained within three entourage of boundaries, you build all toward the XIV century. 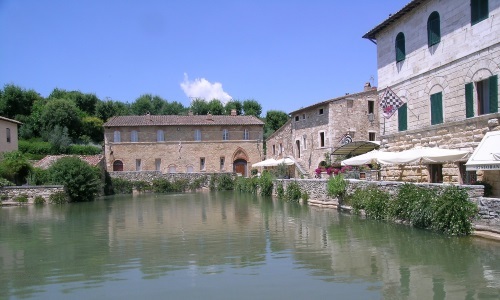 It is probably the most famous center and of great artistic importance of the whole Val d’Orcia. 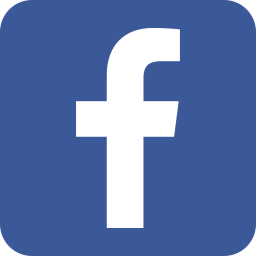 The historical center has been declared patrimony of the humanity from the UNESCO in the 1996. Pienza was later in 1405 the city native of Enea Silvio Piccolomini that 53 years after became Pope Pio II. Bagno Vignoni its situated inside the Natural Park of the Val d’Orcia, to the center of the suburb there is found “Piazza delle sorgenti”, dealt from a rectangular tub with sixteenth-century origin, that contains a source of thermal water that goes out of the underground stratum of volcanic origin. 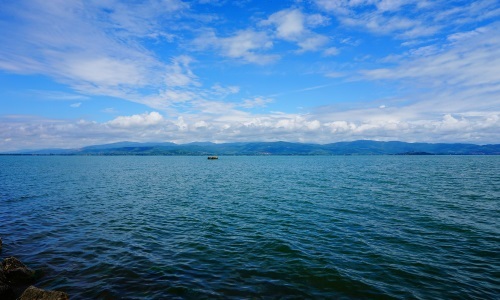 Trasimeno lake is the widest lake in central Italy, fourth among the Italian lakes. The zone was already inhabited since the prehistoric epoch, as they testifies the preserved recoveries inside the national archaeological Museum of Umbria. In 217 B.C. on its shores it took place the battle of the Trasimeno lake, that it saw the Carthaginian strengths defeat the Roman legions. 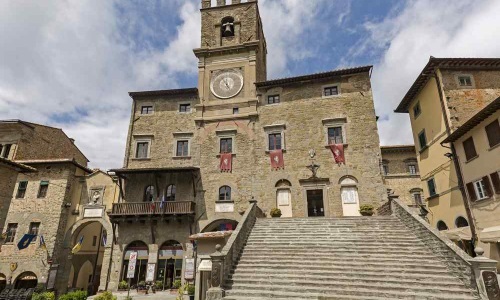 Cortona is the principal cultural and touristic center of the Val di Chiana aretina. Cortona became a very powerful city thanks to its strategic position, that an ample control of the territories allowed that belonged to the lucumonia. They were built really from the Etruschis in the IV century B.C. the imposing boundaries that surround the city for around three kilometers, the noble graves “a melone” shed in the outskirts of the city and the monumental funeral altar decorated by sphinxes, unique example in Italy. 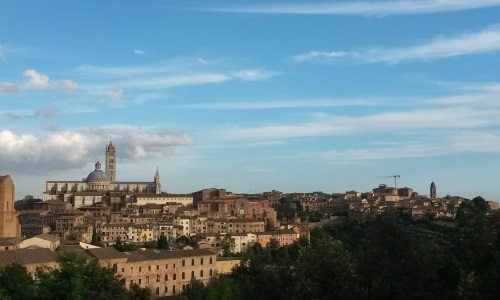 Known for its great historical patrimony, artistic, landscape and for its substantial stylistic unity of the I furnish urban medieval, as well as for the Palio, it has today still remote origins with some rules valid from 1644, year when the first palio was raced with the horses, as it still happens, in continuity ever interrupted. Piazza del Campo, the central square from the characteristic form to fan, is center of the public (the town hall in Gothic style) building and the Torren del Mangia, a slender tower of the XIV century from whose white battlement enjoys him of a stupendous sight. The seventeen historical regions (the city districts) are extended around all really beginning from the square. 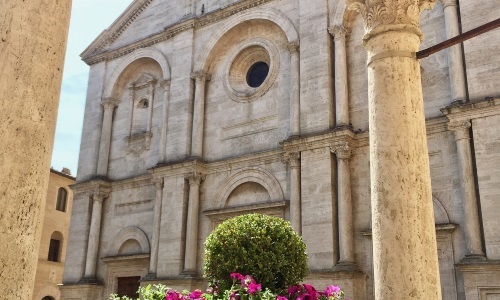 The metropolitan cathedral of Santa Maria Assunta is the principal place of Catholic cult in Siena, in Tuscany, Episcopal center of the metropolitan archdiocese of Siena-Colle of Colle val d’Elsa-Montalcino; the building is situated in the homonym plaza, in the Terzo di Città. 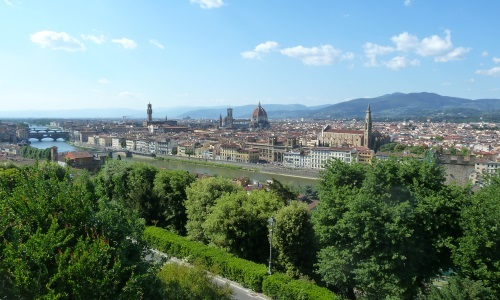 Florence, chief town in Tuscany, entertains many masterpieces of the art and the Renaissance architecture.